We are proud to partner with University Football Rentals. UFR is the parent site to over 20 event sites at major college campuses throughout the country. Visit today if you're looking for any away game lodging! Ever wonder who has the rushed for the most touchdowns for your favorite team? Have sports questions that you can’t find answers for? Find answers and loads of other free sports information at Sports Hoss. Golf Life Navigators are lifestyle enhancing trusted advisors who help people relocating to or in florida find ideally suited golf clubs and real estate properties. We guide discerning golfers, club members and home buyers through an in-depth analysis and insights befitting their unique lifestyle and financial desires. Our properties divisions, Golf Life Properties, finds primary and secondary residences in gated golf and non-golf communities. Rent Like A Champion Guests can save up to 25% off a rental car with Avis! Once you complete your reservation, you'll receive a confirmation email with info to book a discounted rental car with Avis or Budget. Rent Like A Champion Guests can save up to 25% off a rental car with Budget! Once you complete your reservation, you'll receive a confirmation email with info to book a discounted rental car with Avis or Budget. 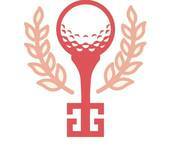 Founded and operated by proud Augustans, Made Fore A Pro is Rent Like A Champion's exclusive Masters housing partner. Made Fore A Pro is Augusta’s only boutique rental company specializing in accommodations within three miles of the Augusta National, offering homes for professionals both on the golf course and in the boardroom.